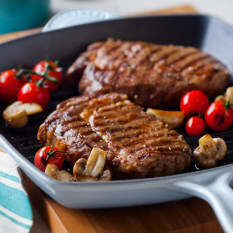 Whether you're frying up bacon 'n eggs for breakfast or perfecting a deglazed pan sauce, quality cookware will change the way feel about being in the kitchen. 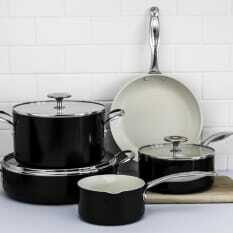 From full cookware sets, casseroles and pots, to copper frying pans and ceramic saucepans, we've got you covered. Can withstand very high heat and distributes heat evenly, but needs to be well seasoned. 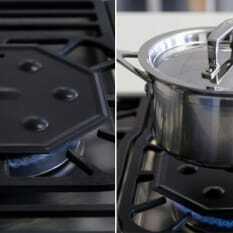 Hygienic surface that maintains even temperatures and prevents burning. Sagenwolf's user-friendly, performance cookware is designed for both modern households and professional kitchens. 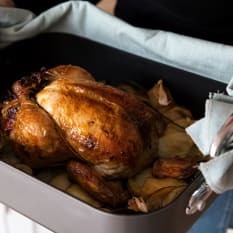 You'll love their Titanium Series non-stick pan — it's PFOA free, durable, dishwasher and oven safe, and features a comfortable stay cool handle.